The Coraopolis police chief pleaded not guilty Thursday to charges connected with a crash on University Boulevard that left a woman seriously injured, and witnesses described what they saw moments before the crash. Alan DeRusso is charged with aggravated assault by vehicle, recklessly endangering another person and a handful of driving violations after an August crash in neighboring Moon Township that sent him and another driver to the hospital. Allegheny County police said in court papers that they could find no emergency that DeRusso would have been responding to that would have justified him running a red light on University Boulevard on the morning of Aug. 7. The police chief was driving an unmarked police car toward Coraopolis when he crossed Thorn Run Road and T-boned a vehicle driven by Kristy Sue Grazier, who spent six days in the hospital with serious internal injuries and a concussion. DeRusso is still the police chief, but he’s been on administrative leave since the charges were filed Jan. 14. Police interviewed several drivers who were nearby at the time of the crash. 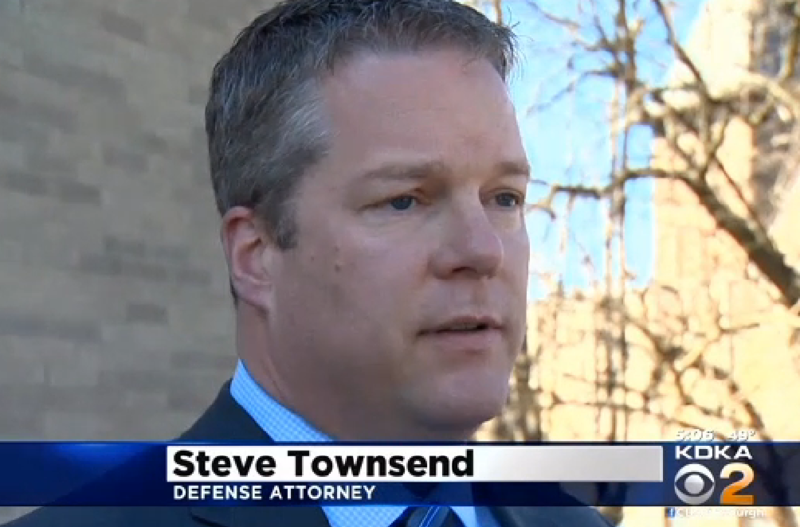 Townsend said those witness accounts are not consistent with each other. Grazier has returned to work, but she is still not completely recovered from the crash and has surgery scheduled for next month, said her attorney, Bob Behling. “We’ve been waiting for the results of this investigation, and Kristy is glad it coincides with her recollections of the events that day, that she was not at fault or responsible for the accident itself,” Behling said.